LOGAN – During Wednesday morning Common Hour, students at Utah State University filed in the Evan N. Stevenson Ballroom to listen to speaker Bobby McMullen, a blind mountain bike rider who races competitively. McMullen has survived diabetes, loss of vision, kidney failure, open-heart surgery, and most recently, cancer. He has also broken more bones than he can keep track of. Despite the long list of challenges, McMullen said he doesn’t let obstacles keep him down. He then encouraged the audience to live their own lives more fully. McMullen was diagnosed with Type 1 diabetes at age 12. He grew up in Redding California but went to school at Weber State University where he was on the ski team. He earned his degree in Political Science and then went on to law school in California. While attending law school, McMullen started losing his eyesight due to complications related to diabetes. He was blind within a month. A natural athlete, McMullen still wanted to be able to ski. He learned how to do so with a guide and within a year, qualified for the U.S. Disabled Ski Team. At the 1996 World Disabled Alpine Championships in Austria, McMullen’s kidneys started failing. 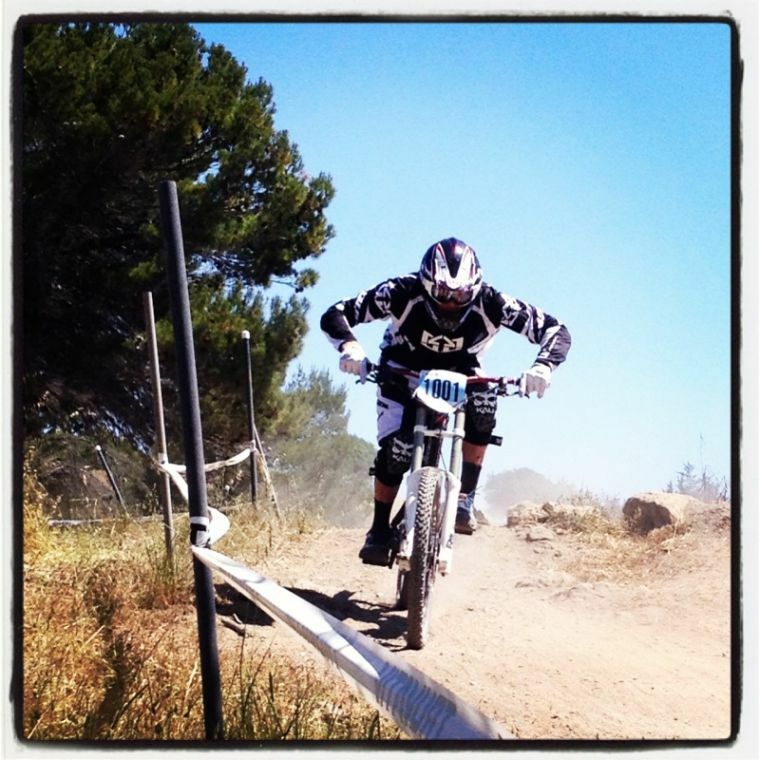 Two double transplants later, McMullen decided to move on from his skiing career and pick up mountain biking. He rides with a guide who calls out the obstacles ahead. McMullen said the hardest part about using a guide is letting them know it isn’t their fault if he falls. “They don’t want to hurt you and I understand that. If I go down, it’s my responsibility and I accept it fully. I choose to go out and do things and ride. I choose to live in the world and I want to live as able-bodied as possible. That comes with certain consequences,” he said. McMullen added that he has been able to stay humorous through all his hardships. “I think we’re our best sometimes when we are faced with difficulties,” he said. McMullen married his wife last year and they are expecting their first child together. He said his greatest accomplishment in life is that he is a good son and a good husband. Aside from biking, he also gives inspirational speeches worldwide.